The league administration was informed by Rogue that the organization would not provide a new roster for the upcoming Pro League season. Followingly, the license would have transferred over to the majority line-up of the roster. However, since the players didn’t manage to build a new roster around a majority of its players, they lost the license to participate in the league. This leaves the American division with one open slot. 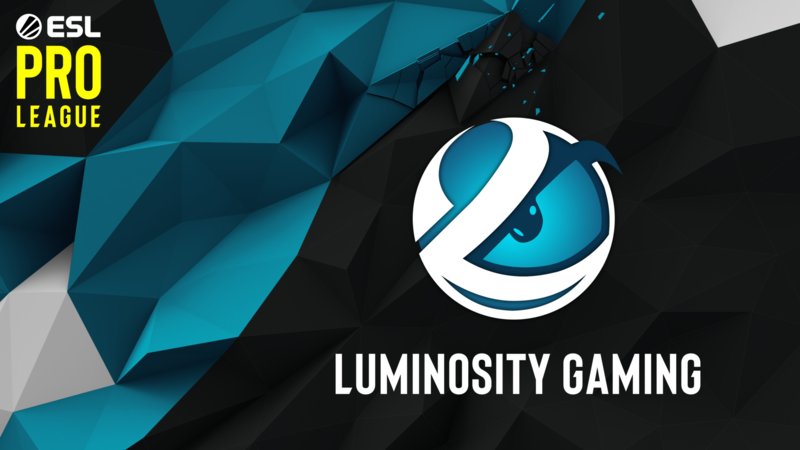 In order to fill the slot, the league administration have decided to invite Luminosity Gaming to Pro League Season 9. Luminosity Gaming are currently the best North American team in the ESL World Ranking which is not part of Pro League. They have further proven to be a stable roster over the past months and are the strongest candidate to complete the North American team lineup. For more information follow us on Twitter, Facebook or Instagram and make sure to tune in to twitch.tv/proleaguecsgo, facebook.com/eslcs or youtube.com/eslcs for the new season!